My partner and I arrived at Eckington Manor at dusk after a 3 hour journey from Essex, but upon arrival I could immediately sense that it was going to be worth the journey. Eckington Manor is nestled away in the corner of its namesake village just across the River Avon on the border of the picturesque Cotswolds. Completely hidden from the main road down a narrow lane, Eckington Manor is built upon an old farm estate and boasts not only a Manor House but a thriving restaurant, cookery school and 17 luxury rooms including a selection of suites. 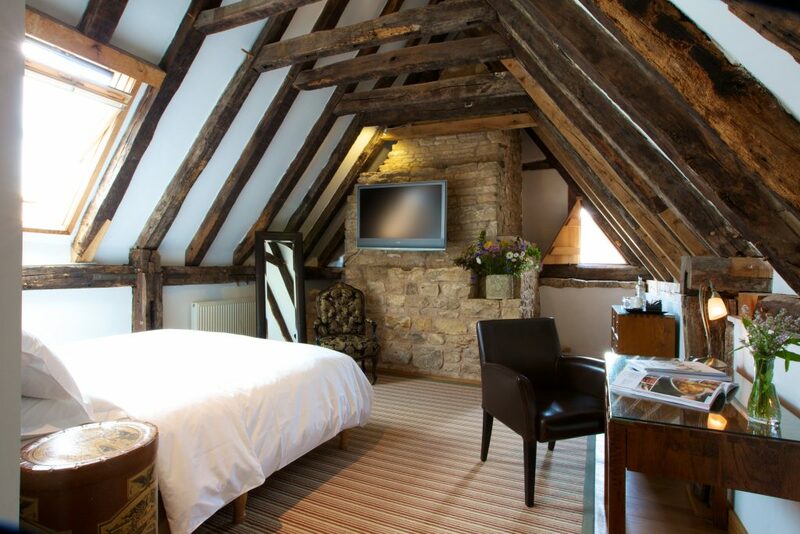 We checked into a loft style suite in the Cyder Mill with plenty of character. Sloping ceilings and exposed beams combined with modern amenities, including a roll top bath and light up shower. There was plenty of light flooding into the suite from the sky lights and well positioned windows around the room. The bath is freestanding at the end of the room and the bathroom area with shower, WC and sink is hidden away behind frosted glass panels. Our suite was spacious, comfortable, light and airy with modern tasteful décor. A selection of teas, coffees and water was provided. The 17 rooms at Eckington Manor are family friendly and room 10 on the ground floor has been specially designed for guests with limited mobility. Dogs may also stay in one of the rooms. Wifi is available throughout and I found the connection to be good despite the slightly remote location. 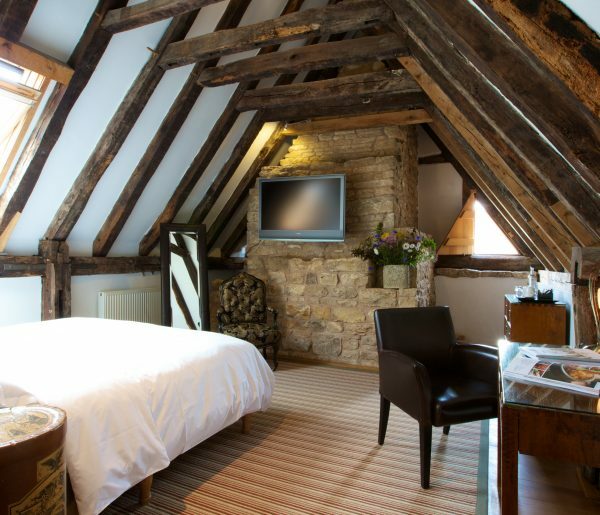 The guest rooms are located within 5 different wings of Eckington Manor, which are all renovated farm buildings. Within the 17th century half-timbered Lower End House there is a cosy lounge with honesty bar which all guests can enjoy. My partner and I retreated there after dinner and enjoyed relaxing by the inglenook fireplace (feeling toasty by the replica gas heated wood burner) enjoying a book and a nice glass of red wine. The décor throughout is rustic but tasteful with a lovely combination of refurbished antiques, designers guild furniture and Mulberry throws. The owner Judy Gardner bought the site in 2004 to save it from development and in order to make is financially viable (alongside Eckington Manor’s restaurant, cookery school and guest rooms) turned the 260 acres of meadow into a working farm raising Angus and Highland cattle. In 2007 Eckington Manor opened a cookery school which has been a great success. The courses are varied and wide ranging, from Aga cookery courses to bread making and knife skills. For brides to be Eckington Manor is quite simply a magical setting for a wedding. The barn and adjoining apple store are light and airy and cater for intimate weddings of up to 70 guests. Both the barn and apple store open out onto views that overlook the spectacular Worcestershire countryside. Outside the beautifully designed terrace and garden area offers the perfect setting for al fresco aperitifs and canapés. Eckington Manor is also fully licensed for civil ceremonies, civil partnerships and is a great choice for other celebrations. 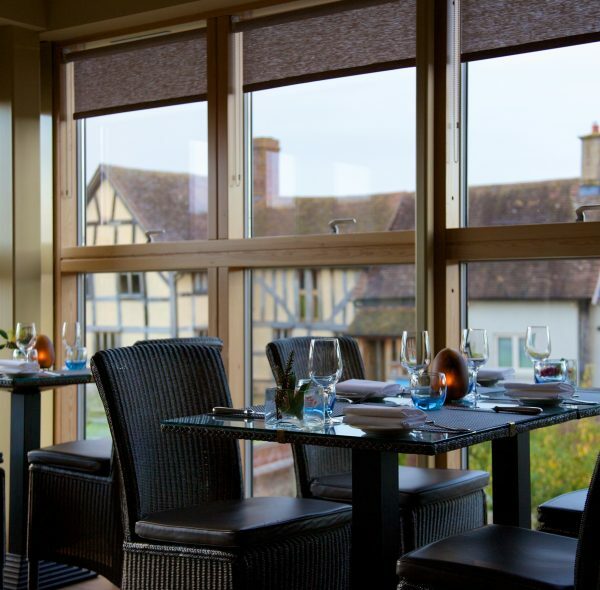 Eckington Manor’s modestly sized but ultra modern restaurant has earned a reputation for serving exquisite food thanks to head chef and Master Chef winner Mark Stinchcombe. 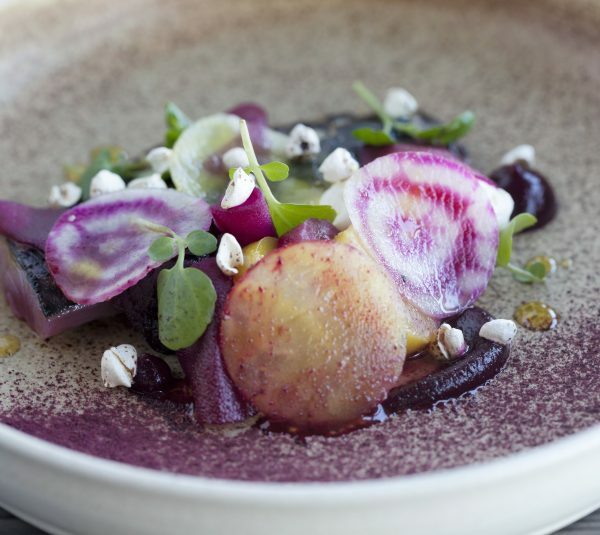 Mark and his wife Sue have put together a small but creative menu featuring some of the farm’s produce. 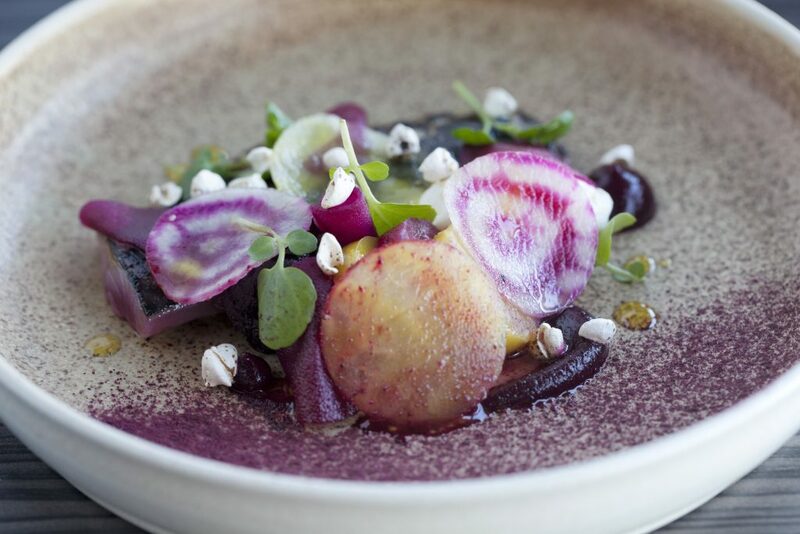 Each and every course is beautifully presented and bursting with flavour. To wet your appetite I opted for the Beetroot tartar with golden raisins, goats cheese and oat biscuits to start. Being a vegetarian this was followed by parmesan lasagne with roasted cauliflower, cumin and capers for main, finished off by a mouth-watering dessert of dark chocolate, peanut butter ganache with salted milk ice cream. The home-made bread alone was to die for and we couldn’t resist sampling the cheese board selection at the end of our evening! You may wish to take advantage of the wine pairing service offered at dinner, the affordable wine selection offers something for everyone and it was great for someone like myself who is by no means a wine connoisseur to get some expert advice! Breakfast didn’t disappoint either with a selection of Aga baked granola, homemade apple juice and a selection of croissants and jams. Ordering from the menu my partner enjoyed the traditional full English whilst I choose smoked salmon and scrambled eggs with wholemeal toast and butter. The smartly dressed staff at Eckington Manor combine professionalism with friendly charm and you get the sense that they feel very much part of the family run business. 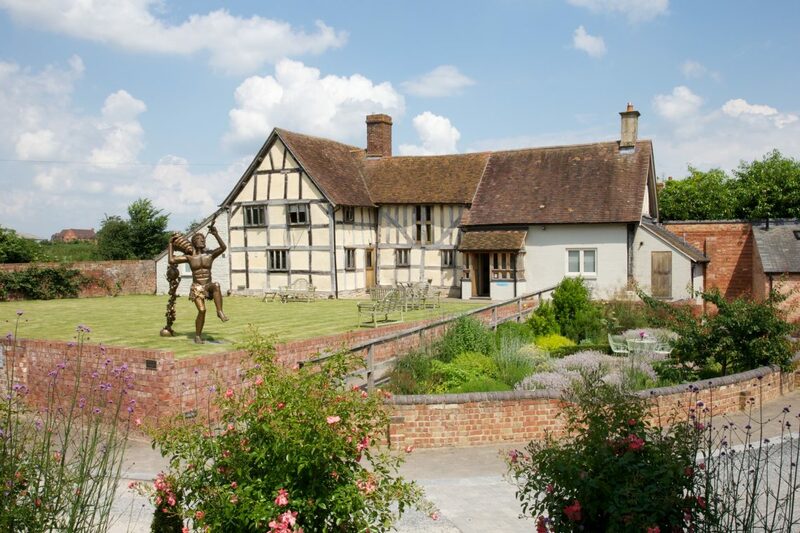 If you have time to explore the local area during your stay, it is worth a visit to nearby Ledbury which offers a cider emporium, selection of book shops, chocolatiers and brasseries. If you enjoy a hike park at the British camp and head up the hills to enjoy views over the Malverns and Ledbury. 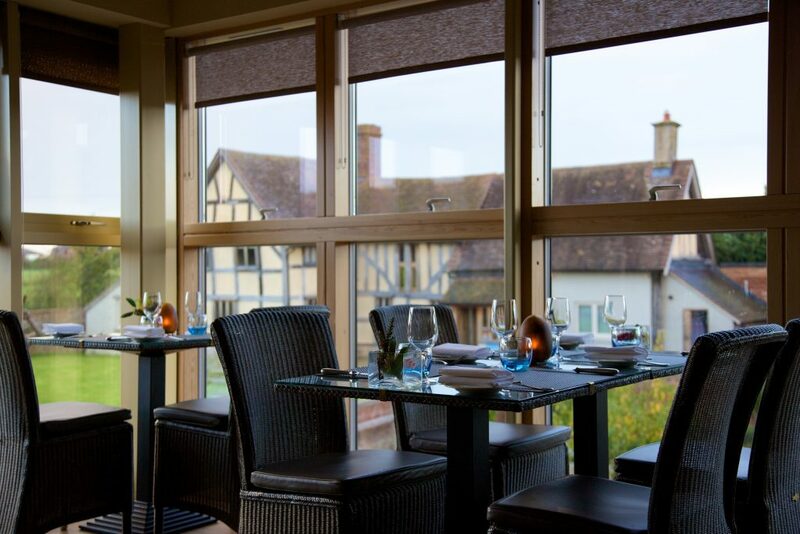 We really enjoyed all aspects of our stay at Eckington Manor and only wish we lived closer so that we could return on a more regular basis to dine in the restaurant, I can genuinely say that was one of the most beautiful evening meals I have ever had the pleasure of eating!